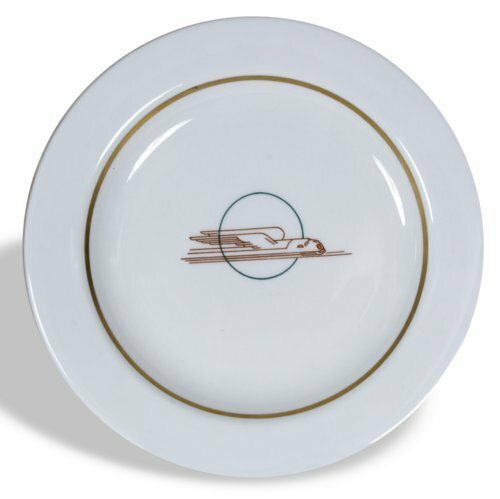 This plate in the Winged Streamliner pattern was part of a complete place setting given to the Kansas Historical Society by the Union Pacific Railroad. The setting was presented in 1971 to commemorate the last run across Kansas of the streamliner "City of Kansas City." From 1968 to 1971 the "City of Kansas City" ran passenger service to Cheyenne, Wyoming. This plate was made by the Sterling China Company in East Liverpool, Ohio.